Why Do Distillers Make a Stripping Run? When distilling rum, the stripping run is often the first distillation of the wash. The goal of this first distilling run is to strip as much alcohol from the wash as possible. This distilled alcohol is often referred to as “low wines” and what’s left over in the boiler is the bulk of the water, sediment and yeast from the fermentation process which can be discarded. A pot still is often used for this distillation process and is run hot and fast, with no cuts made during the run so the separation between fractions is bad. It’s common to see a stripping run alcohol by volume or "abv" range between 40% – 60% abv. The chart shows what’s going on during a pot still stripping run. Notice as the alcohol by volume (abv) drops the water increases as the distillation proceeds. Most distillers stop the stripping run around 20% abv or 40 proof it’s simply not worth distilling the ethanol gain does not warrant the cost. Why should I do a stripping run before a refining run? The stripping run allows you to significantly reduce the volume of product that needs to be distilled during the spirit or refining run, significantly reducing distillation time. It will also produce a better tasting alcohol. 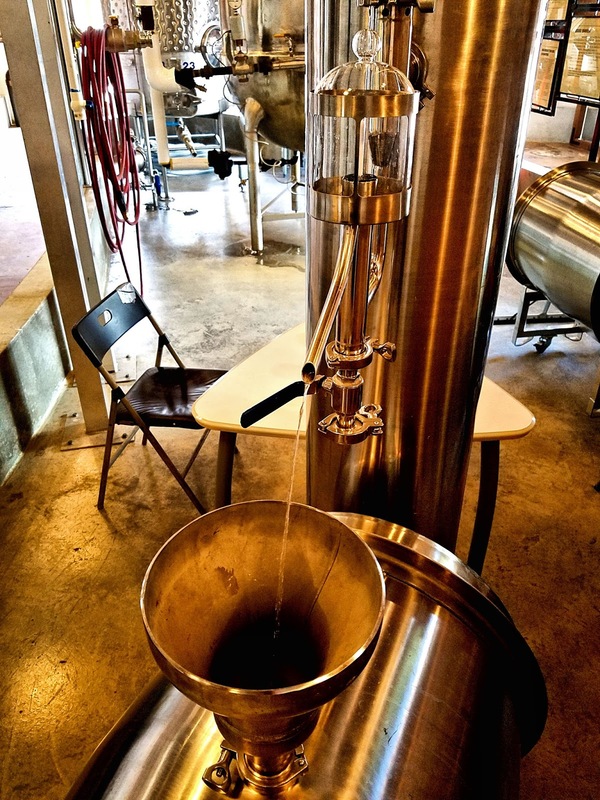 For example, if we start with 300 Gallons of Wash we can strip this down to 60 Gallons of “high wines” and then run a single spirit run this will take much less time. Stripping Run temperatures are very different from Refining Run Temperature. In practice, most distillers collect high wines until the stripping run temperature reaches 208 F or 98 C. Remember you don’t make any cuts during this distillation the primary goal is to strip off the water, yeast and other solids that are a part of the wash.